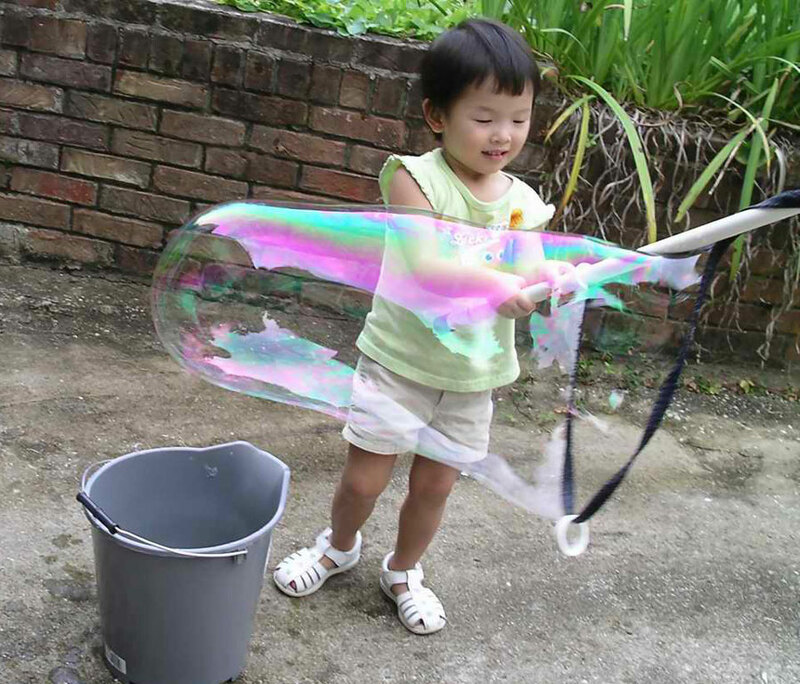 The Magic Bubble Wand is a toy that lets kids blow giant soap bubbles. 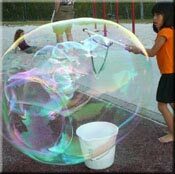 Children two years old and up can learn to blow long, large bubbles or create multiple bubbles and see them soar into the air. 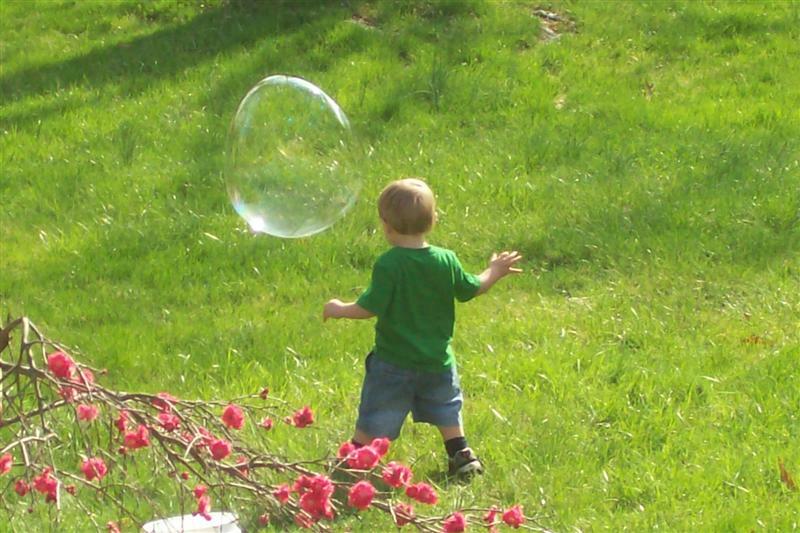 Many young children seem to be fascinated with bubbles and will chase them endlessly. 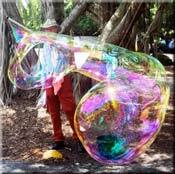 I have been making the bubble wand and blowing large soap bubbles in Miami, Florida for the past ten years. 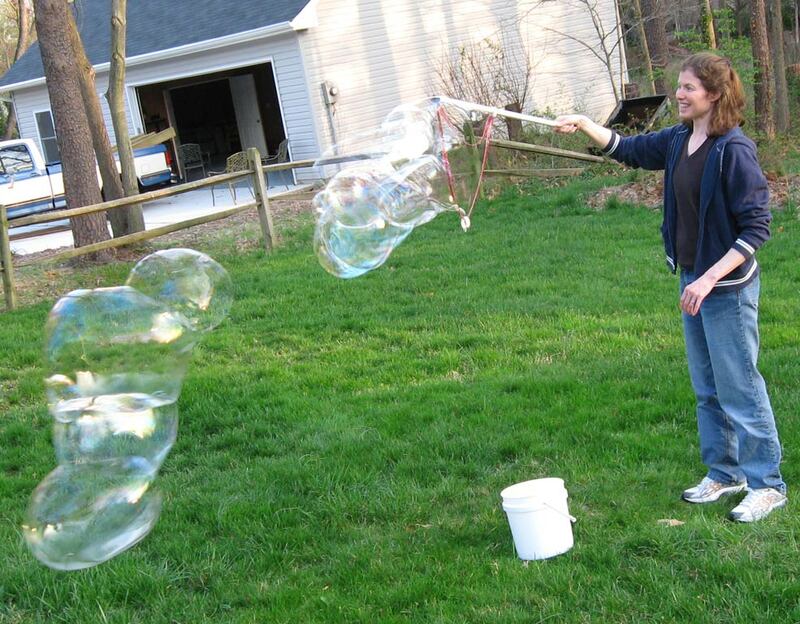 Bubbles are great therapy. 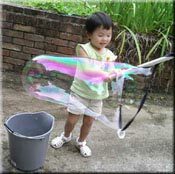 The Magic Bubble Wand makes a perfect gift for you or any child. 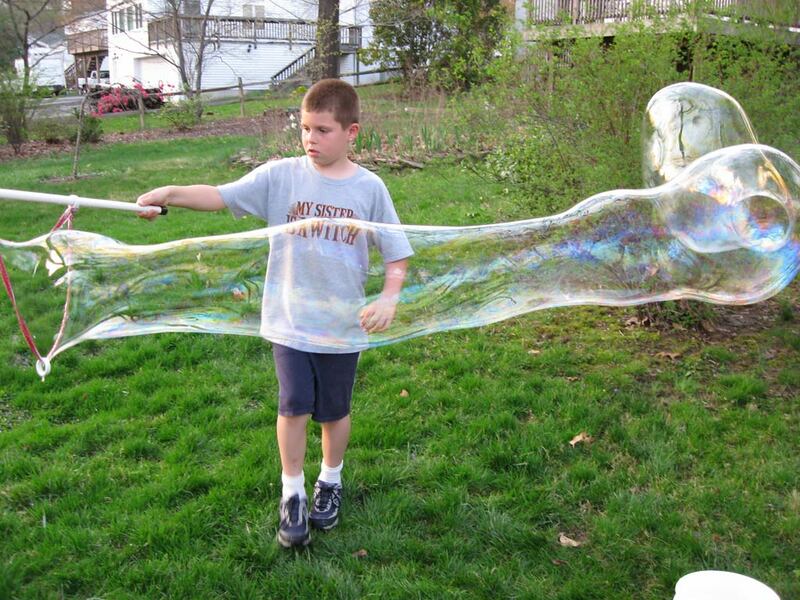 Please contact me if you have any bubble blowing questions or are interested in purchasing a wand. Please check out the other pages on my site! 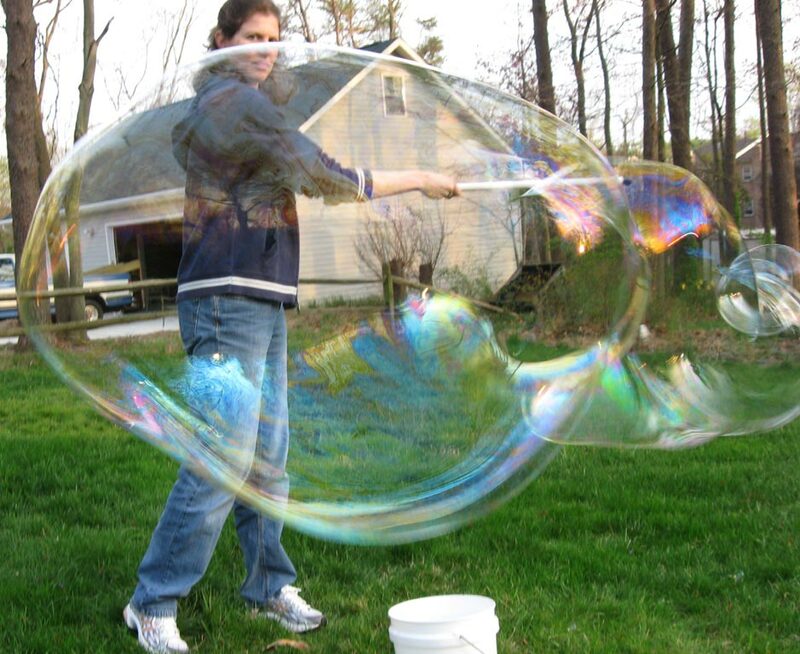 Each contains different bubble pictures. Click on the thumbnails to see larger images. The price of the Magic Bubble Wand is only $6.95. This hand crafted toy is made of pvc pipe and fabric. It is available in 5 colors of fabric - red, pink, blue, green and grape. The wand is 24 inches long and it is virtually indestructible. The wand is guaranteed for life (my life, not yours). If the wand breaks, return it with $2.00 to cover shipping and handling and I will replace it. 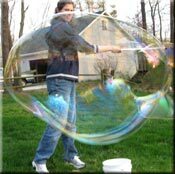 I also sell the Magic Bubble Wand on eBay. Please click here to view my eBay listings. Bulk pricing is available when purchasing through my website. Go to the Contact Me page for bulk purchases and shipping charges. 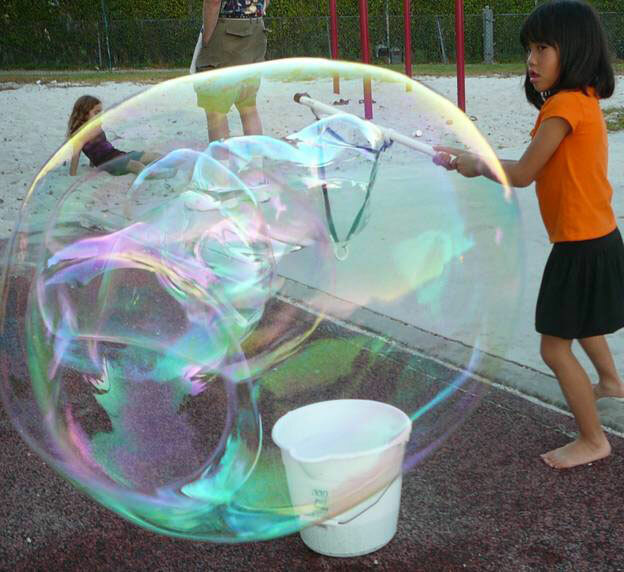 Coming soon - Video demonstrations of blowing bubbles and mixing bubble solution are in the works. 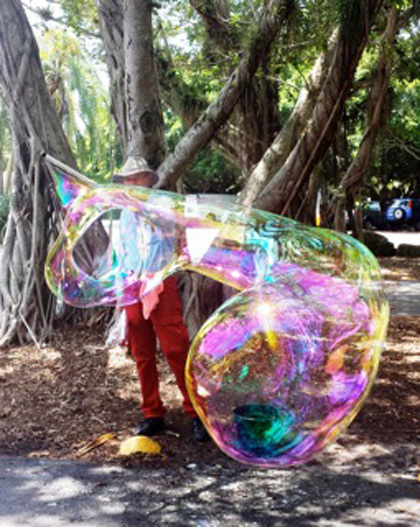 August 2012, Bubbleman - Article from Miami Hal's blog. June 2014, El hombre de las burbujas - SOPHIA Magazine online. Copyright © 2008-2015 Alan Pasternak. All rights reserved.